Overall, I have to say that without Myles and the LD System my driving test would have been near impossible to pass. 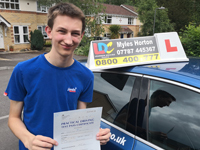 Yet, with the constant commitment of Myles and the useful LDC Workbook and DVD, learning to drive has been a blast. I would most definitely recommend Myles and the LD System. 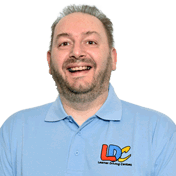 I'm a driving instructor in Kingswood, Fishponds, Downend, Staple Hill, Emersons Green, Brislington, Knowle, Hanham, St George, St Annes and surrounding areas.